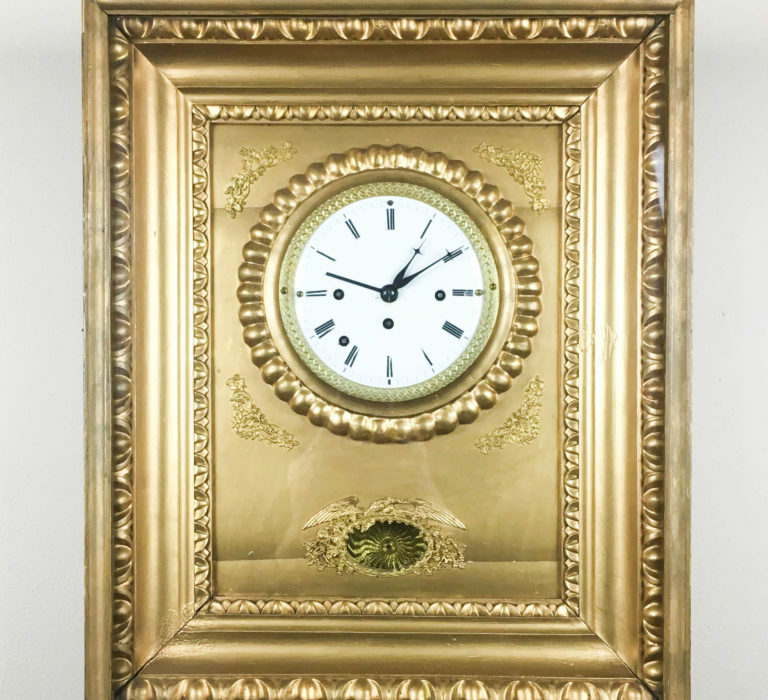 This is a great example of the English Gallery Clock. 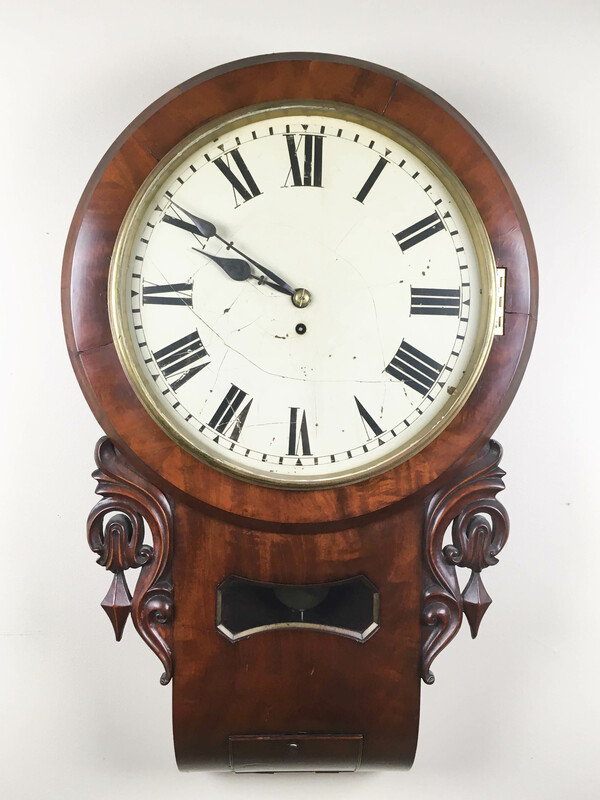 The mechanism in this piece is a eight day time only with a Fusee. 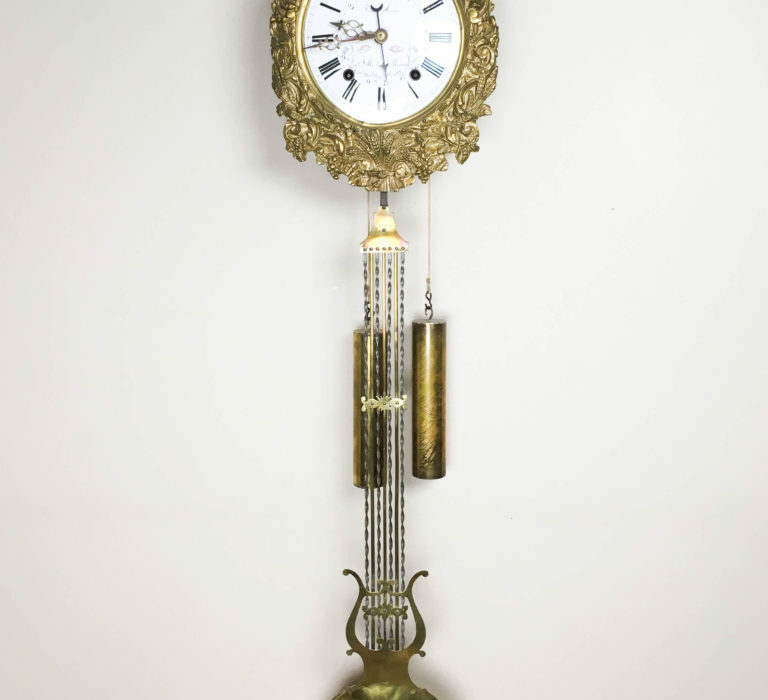 The fusee was designed to equalize the pull of the mainspring and was attributed to Jacob Zech of Praque in 1525. Drawings by Leonardo Da Vinci show the fusee in principle. 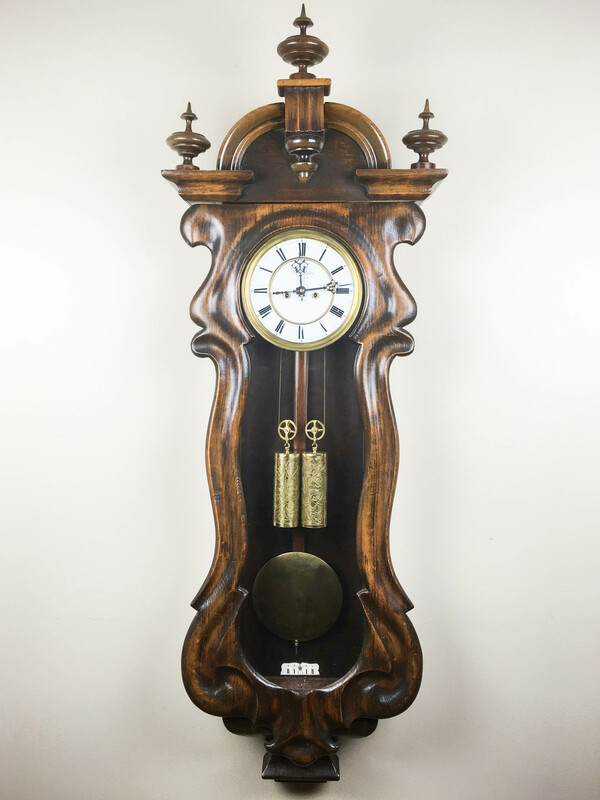 The flamed mahogany case gives this clock a stately and classical look. 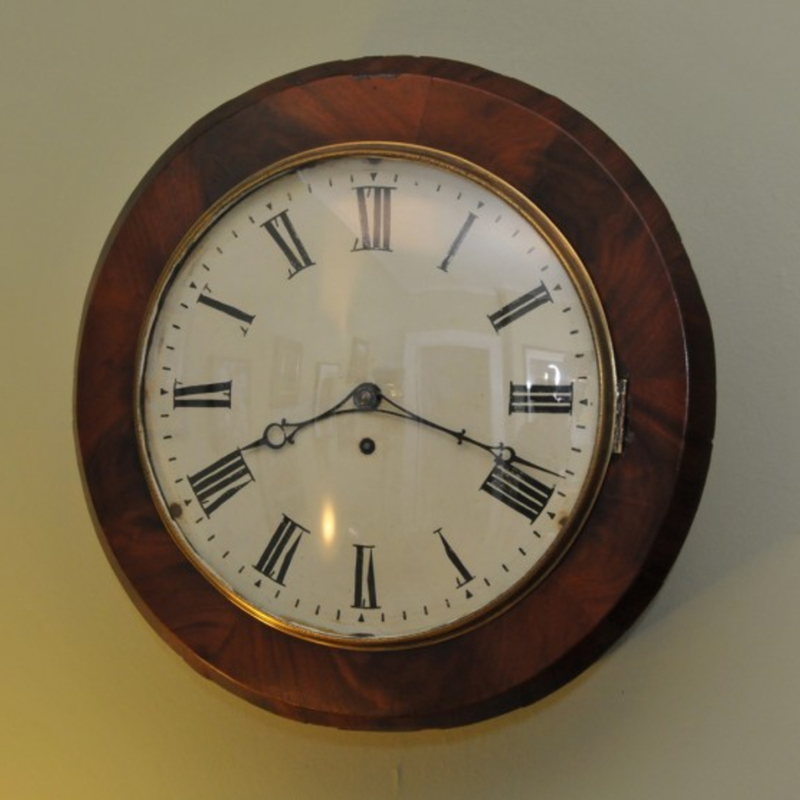 This clock measures 17” in diameter and is 7” Deep.